It may come as a surprise that the alarm clock is an invention that’s subject to Schumpeter’s gale – thanks to newer technologies such as smartphones which have applications for alarms that are easier to configure than pressing several noisy buttons on that rectangular box on your bedside table, fewer and fewer alarm clocks are being purchased. Although some people may rejoice at this news (as being pulled from your dreamy slumber by a loud, screaming machine has made the alarm clock a necessary device that harbors a certain degree of hatred from whoever it is waking up), it unfortunately begs the following question: could it be that alarm clocks, like so many other essential devices, are being rendered obsolete? Idea International has answered that question with a resounding “certainly not yet!” thanks to their modern twist on a traditional device. They have released the beautiful and useful LED Alarm Clock with USB Ports. The LED Alarm Clock with USB ports is definitely not your traditional alarm clock. Sure, it wakes you up when you don’t want to be awaken but have to be (that part, unfortunately, can’t be done away with by technology anytime soon, unless the person who is reading this is on the brink of retirement or about to go on a relaxing vacation). 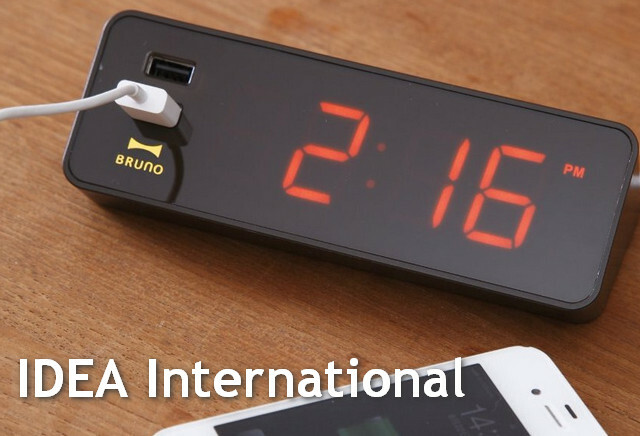 However, the LED Alarm Clock comes with a feature that sure beats your old alarm clock radio: it acts as a power bank with USB ports to charge your phone or tablet so you don’t have to worry about the competition over the power outlets near your bed. 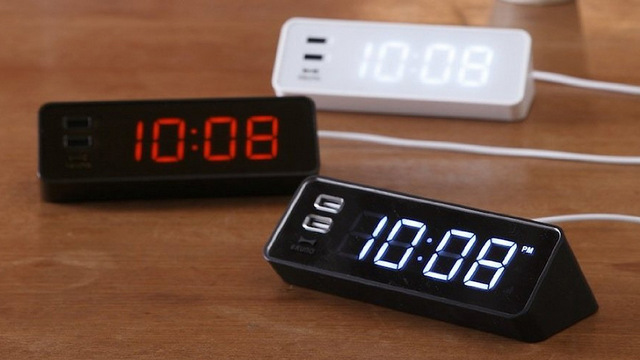 Although the LED Alarm Clock with USB ports is a lot smaller than your traditional alarm clock radio, it has kept one of the most useful functions of an alarm clock – being able to wake up in the middle of the night and glancing over at the lit up time instead of groping around for your phone and pressing a button to view the time. Smartphones can’t stay lit up for the entire night as it drains their battery, and you still have to reach over and tilt it towards you. It doesn’t actually take a lot of effort when you’re awake, but it is an annoyance when you are half-asleep. Given that most of us need to wake up before we want to, the ultimate purpose of an alarm clock is something that won’t be replaced anytime soon. But if you can’t beat them, join them and wake up to fully charged devices. Idea International’s LED Alarm Clock with USB ports is available at amazon. 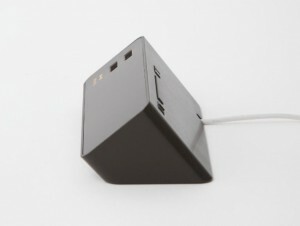 This entry was posted in IDEA International and tagged alarm clock, idea international, LED clock, usb power. Bookmark the permalink.